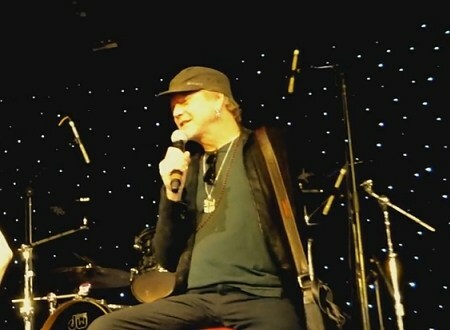 Rick spoke to Eddie Trunk for a Q And A session during the recent Monsters Of Rock cruise. 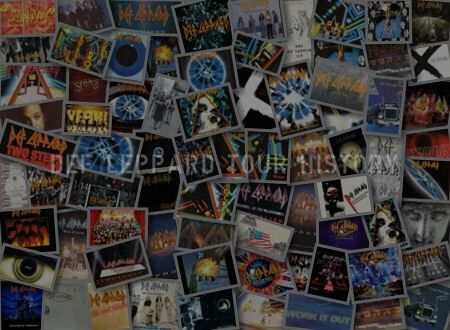 Rick talked about the his artwork, accident recovery/charity work, Raven Drum, Tesla, Hysteria cruise, playing with Tesla, acoustic drums, 2018 North American tour/Journey, rebuilding success, Slang album, co-headlining with Journey, In The Round stage return, playing onstage with Journey and second Las Vegas residency. He was asked by a fan about the possibility of the band playing In The Round again and suggested it is likely and was even considered after the high 2017 ticket sales. 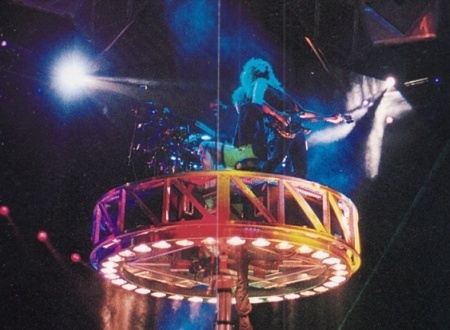 The return of this staging was first brought up by Phil in April 2017 which then resulted in the hope that this year's Hysteria tour would feature its return for the first time since April 1993. "It was a little odd but we did the best we could. Everybody on the body really stepped up, we were just talking about that. Joe everybody helped Joe out and obviously Jimmy Bain." "Yeah it was great. It was so much fun. As I say our history goes back a long way and their songs are in my DNA. I've heard them so often. They're great, great songwriters. Lovely bunch of guys so it was great that they invited me up." "Well I grew up playing acoustic drums and that was what ignited my passion in the first place. So they're never very far away. I always have an acoustic kit set up and it's more convenient. You know what I mean, It's just, it's an easy set up. I save the Ferrari for when I go out with Def Leppard." "The whole time I was on the show I was getting text messages from Mike Kobayashi our manager. And he's like don't you dare say anything." "At this point in my career I'm just, you know. Maybe it's because we're on the endangered species list or something, I don't know. But we seem busier now than we've ever been." "And I think, you know may he rest in peace, but Howard Kaufman was very instrumental. He died a couple of years ago and I think he was very instrumental in building that momentum. But interestingly enough going back to what you were saying. That it destroyed a lot of rock bands. That was when we created Slang which actually ended up being one of my favourite records." "A little less melodic and maybe the direction that we may have gone in had we not worked with say Mutt Lange. You know it was a little more raw. 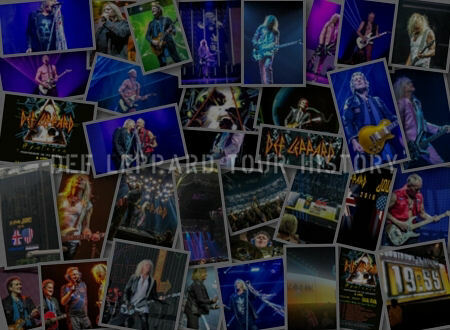 But I enjoyed the sound of Def Leppard in that form. It was cool." "It was great. It was a great experience and Dean was playing drums, but really talented bunch of guys. I mean to go on stage after those guys had been on is...those songs are huge." "I think certain territories, you know, it's obvious that they're probably a little stronger than we are, but it was pretty amicable. Everybody was like, you know, let's just figure it out the best we can with a little bit of logic involved. And you know I think it's good doing the flip flop." 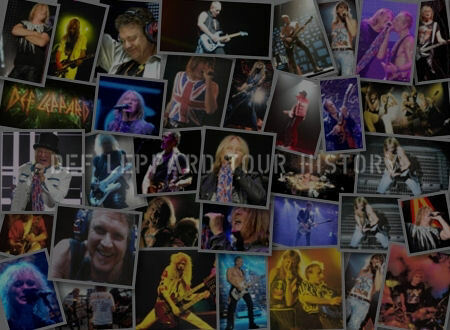 Def Leppard In The Round Again? "We've discussed it and it was something that was kind of unique, you know, for a band to do. 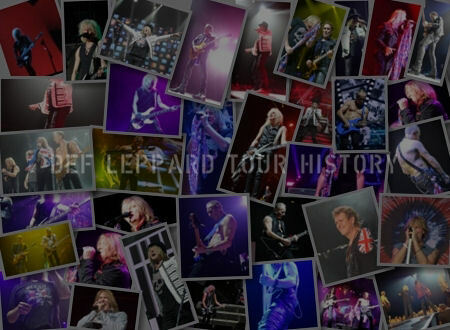 Ad on part of the last tour the ticket sales were so good that it was like you know what? we should do that again. But obviously a situation like with us and Journey it would be more difficult. You know because they obviously wanna do their show a certain way." "And playing In The Round was really challenging. As I suggested in the beginning, you know, Tesla were like. It was so alien to them when they first got on that stage, but they soon warmed to it. So I think at some point in the future I think we would do that. Four front rows is fantastic." Did you like it from a playing point of view? "I actually really enjoyed it. And it was a different way of presenting the band. I mean a lot more physical for the guys because they're obviously entertaining four front rows. No, the thing that got to me was that drum riser. You know every time that thing went up. Sav used to stand behind me with his back to me. And as the riser got higher and higher and higher, he would push, push further and further into me. To the point where I was like crouched over my kit. Like Sav give me some room here man. But it was fun. I'd definitely do it again." "I know Phil. Phil actually did a show with Neal recently. With the G3 thing that he's doing at the moment. So maybe that sort of planted a seed. But you know it really depends on logistics. We're trying to cram in as much music as we possibly can. And time is kinda tight when you're doing a show like that. But as I say that seed has already been planted. So that'll be really fun." "I think it's important to do that 'cause we always feel as though as you know 90 minutes is. Sometimes it feels a little short. You know we'd like to play as many songs as we possibly can." Second Las Vegas Residency For Pyromania? "After we did VIVA! Hysteria things got really busy for us. So we kinda felt as though we needed to get out there as opposed to doing a residency. Even though I really enjoyed the residency that, the whole concept of people coming to us rather than us going to them. It was actually really...but the good thing about a situation like that I don't think it's necessarily gonna go away. It's something that we could always go and do, but I don't see that really in the foreseeable future."